Are you looking to host a private event? You've come to the right place. 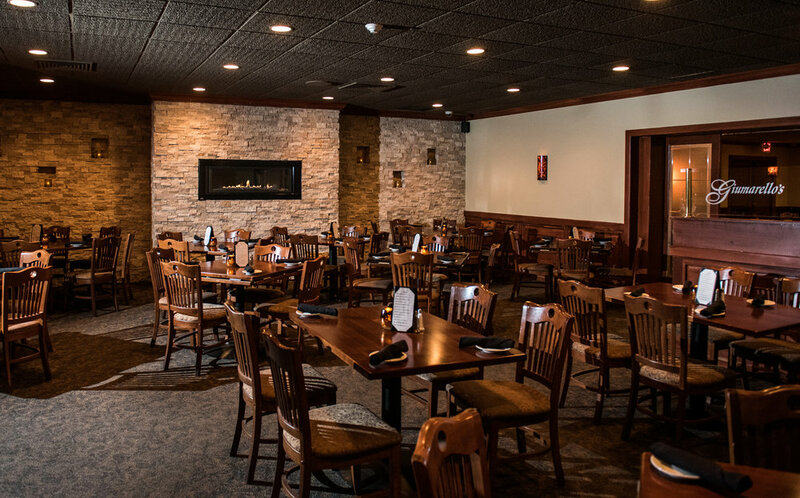 Plan your next occasion with us and we'll be sure to make it memorable. We host baby showers, birthdays, business meetings, christenings, engagement parties, funeral luncheons, wedding showers, and more; Giumarello's offers a beautiful space and delicious food to host your private event. These are opportunities for us to work more closely with you, our guests. Feel free to browse our banquet menus, you can even walk through Giumarello's restaurant with our 360-degree Google tour. If you have any questions please fill out our contact form and someone will be with you shortly! The Capriccio room provides a cozy environment for you and approximately 50 guests. We feature a heated and enclosed patio area that will seat up to 60 guests. Have A larger party size? We have a number of room configurations that we can offer for larger events. Please call and speak with one of our representatives for scheduling a tour and to learn more. Call (856) 858-9400 to reserve either room for your reception or party.